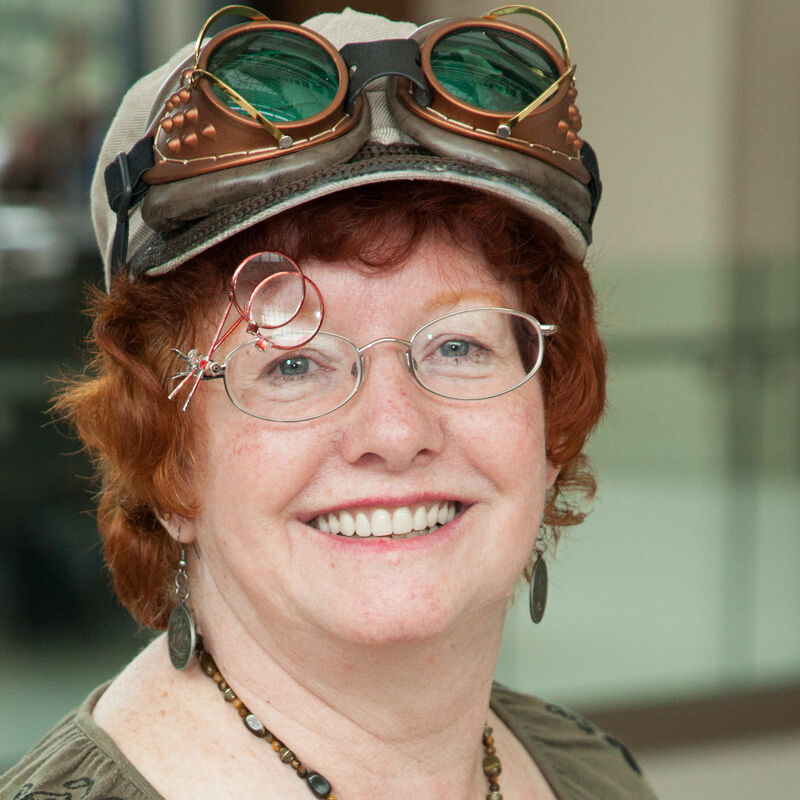 Her first novel, a Young Adult Steampunk Comedy Adventure called The Flight To Brassbright is endearing itself to eleven year old girls and a surprising number of grown-ups. 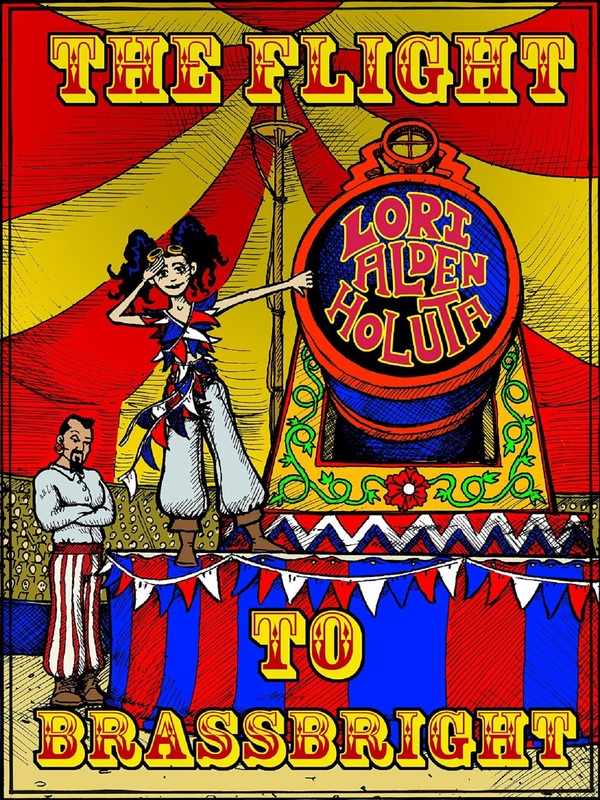 Its sequel, Down The Tubes, seems to be in an eternal state of ‘nearly done’ but she’s going to surprise you when it publishes, possibly sooner than you think. 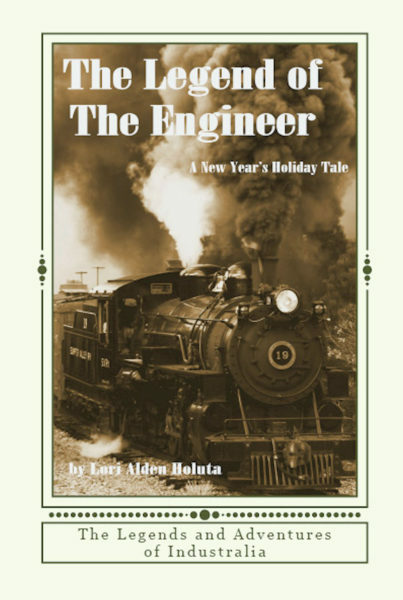 Book three, Off The Rails, is currently in development. 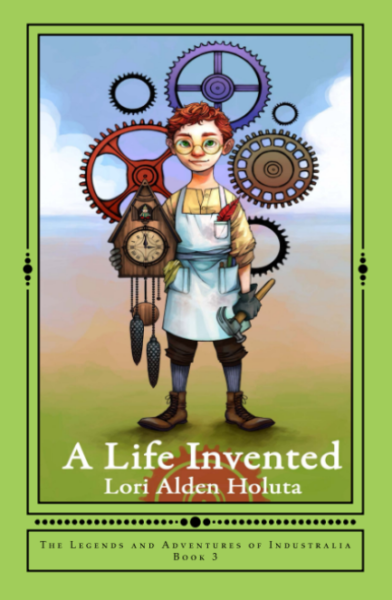 Besides the Brassbright Chronicles novels, she’s published three short steampunk books for kids, all set in her fictional country of Industralia. 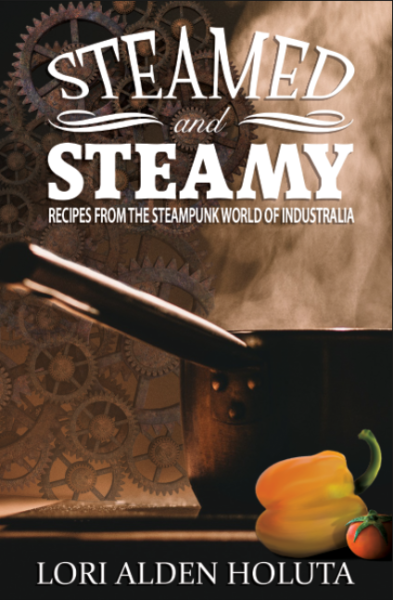 Steamed and Steamy: Recipes from the Steampunk World of Industralia, is her cookbook, inspired by Industralia’s characters and their eating habits. 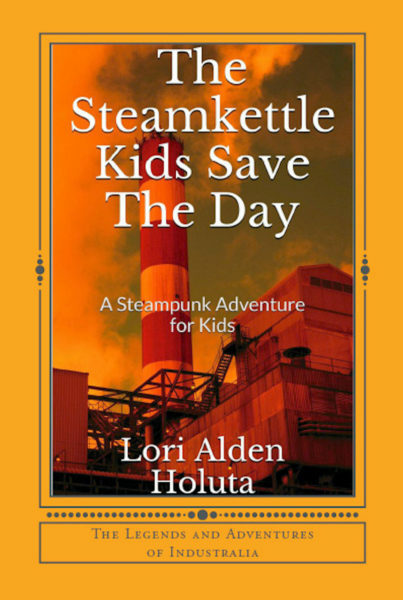 All are available through Amazon.com in both paperback and eBook formats.